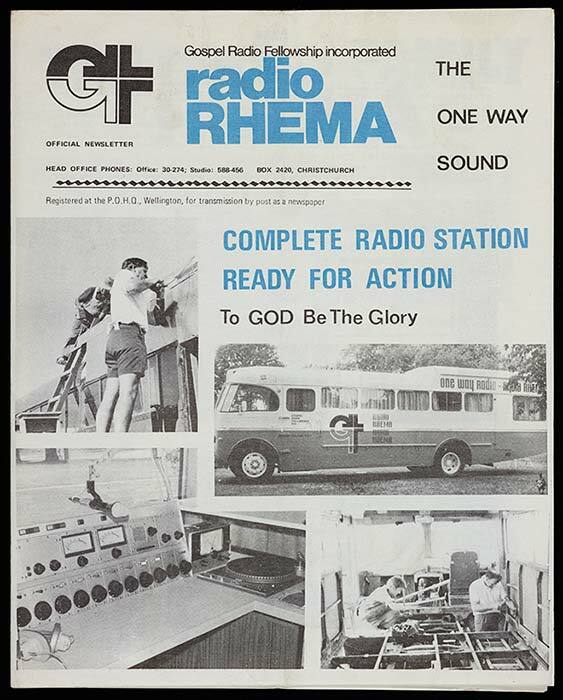 This is a cover of the official magazine of Radio Rhema, a Christian evangelical radio station, from around 1975. In the 1970s Radio Rhema was operating on a trial basis, becoming established as a permanent radio station in 1982. By 2013 the Rhema network covered most of New Zealand.